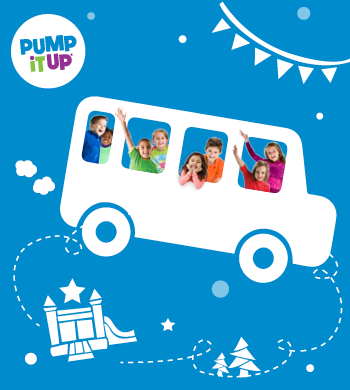 Bring the kids to Pump It Up for your School or Camp Field Trip. Kids will jump, slide and play at Pump It Up in private and secure play areas. And Coordinators will have a jumping good time too! Our trained staff will make your Field Trip easy and hassle-free. Two Field Trip options: 1) Play only - $9.00/child, or 2) Play with Pizza Lunch - $13.00/child.